Dual lane tropical water slide!! 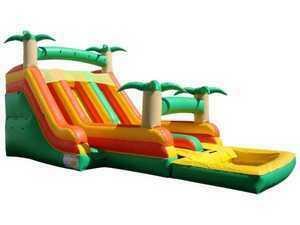 One of the best and biggest water slides we have to offer!! Guaranteed party plus!! Customer supplies the hose.